William Edward Biederwolf (September 29, 1867-September 3, 1939) was a popular fundamental evangelist of the early twentieth century, held several pastorates, and served as president of the Winona Lake Bible Conference for more than a decade. Biederwolf was born on September 29, 1867, in Monticello, Indiana, to Michael and Abolana Biederwolf who were German immigrants. At the age of eighteen, Biederwolf left home to travel the world with a friend only to return, like the prodigal son, poor and hungry. While sitting on the Monticello Presbyterian church steps, he heard the gospel and was converted. Biederwolf prepared for the ministry by enrolling at Wabash College in Crawfordsville, Indiana, but he later transferred to Princeton University to complete his Bachelor’s degree in 1892. Biederwolf also volunteered at rescue missions in New York and Pennsylvania during the summertime. Continuing his education at Princeton, Biederwolf earned his M.A. in 1892 and his B.D. in 1895. He gained experience by working with the B. Fay Mills evangelistic team after completing his degrees. In 1896 he married his childhood sweetheart, Ida Casad, and then spent a year of study in Germany and France. He returned to the United States the following year and accepted a pastorate at the Broadway Presbyterian Church in Logansport, Indiana, where he served until 1900. During this pastorate, Biederwolf was commissioned as a military chaplain for the 161st Indiana Volunteers during the Spanish-American War in 1898. He returned to his church after his military service, but two years later, he became a professional evangelist. He was one of the two of three evangelists whose pulpit style incorporated most of the elements of great preaching. His scholarship was broad; his use of the English language was concise, accurate, and powerful; his sympathies were deep; his heart was warm; and his doctrinal position was firm and solidly scriptural though he was not given to extremes of interpretation and rode no hobbies. He was a man who fought to preserve the old landmarks and was an adornment to evangelistic preaching. During his city-wide campaigns, Biederwolf advocated for civic reform and prohibition by using his “Civico-Religio-Industrial Parades” which included prominent townspeople as well as religious leaders from the community who marched through the streets inviting people to the evangelistic services. He would then preach against alcohol, immorality, and other societal problems to the thousands of people who crowded in to hear his sermons. Biederwolf held many positions throughout his career in ministry. He created the Winona Publishing Company to distribute religious literature and song books. 1909: He founded the Family Altar League which promoted family devotions. 1910: He became president of the Interdenominational Association of Evangelists. 1910s: He served as an associate director for the Winona Lake Bible Conference. 1911-1912: He helped lead the Men and Religion Forward Movement which attempted to motivate Christians nationwide through evangelistic crusades. 1913-1917: He served first as secretary and then as president for the Commission on Evangelism, a division of the Federal Council of Churches. 1922-1938: He became the director of the Winona Lake Bible Conference. 1923-1924: He established the Biederwolf Home for Lepers in Korea while crusading in Australia and Southeast Asia. 1923-1933: He directed the Winona Lake School of Theology. 1929-1939: He pastored the Royal Poinciana Chapel of Palm Beach, Florida. 1933-1939: He became the president of the Winona Lake School of Theology. 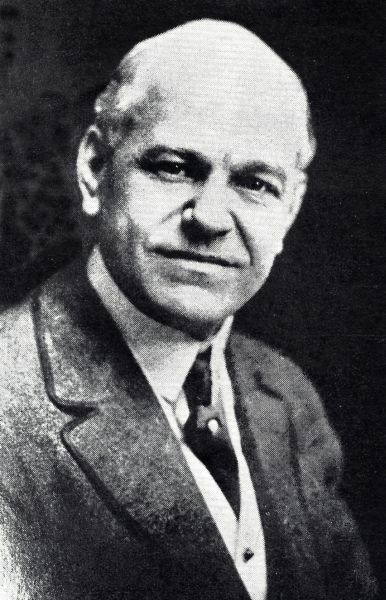 In 1922, Biederwolf became director of the Winona Lake Bible Conference, and the following year he took over the Winona Lake School of Theology. Biederwolf turned the Bible Conference into a fundamentalist gathering which he based on a solid doctrinal foundation. Although Biederwolf embraced a fundamentalist standard, he still invited men to speak at Winona Lake who held conservative views. Some of the most famous preachers who spoke were J. Gresham Machen, “Fighting Bob” Shuler, Bob Jones, Jr., Billy Sunday, and John McComb. Biederwolf received two honorary degrees during his days at Winona Lake: a Doctorate of Divinity from Northern Baptist Theological Seminary and a Doctor of Laws from Beaver College. When Biederwolf’s health failed in 1938, he returned to Monticello, Indiana for hospitalization. He died at the age of 71 on September 3, 1939. Note: I also helped write the Wikipedia article for W. E. Biederwolf. Cogdill, James. A Major Stream of American Mass Evangelism: The Ministries of R. A. Torrey, J. W. Chapman and W. E. Biederwolf. Ann Arbor, MI: UMI, 1990. Garrett, Ray. William Edward Biederwolf: A Biography. Grand Rapids, MI: Zondervan Publishing House, 1948. Jones, Bob. Cornbread and Caviar. Greenville, SC: Bob Jones University Press, 1985. McLoughlin, William. Modern Revivalism: Charles Grandison Finney to Billy Graham. New York: The Ronald Press Company, 1959. Sidwell, Mark. “The History of the Winona Lake Bible Conference.” PhD diss., Bob Jones University, 1988. Smith, Gary. “Biederwolf, William Edward.” American National Biography Online, February 2000. http://www.anb.org/articles/08/08-02151.html (accessed July 11, 2012). Mark Sidwell, “The History of the Winona Lake Bible Conference,” PhD diss., Bob Jones University, 1988, 140. Ray Garrett, William Edward Biederwolf: A Biography (Grand Rapids, MI: Zondervan Publishing House, 1948), 15-17. Gary Smith, “Biederwolf, William Edward,” American National Biography Online, accessed July 11, 2012, http://www.anb.org/articles/08/08-02151.html. Bob Jones, Cornbread and Caviar (Greenville, SC: Bob Jones University Press, 1985), 99. William McLoughlin, Modern Revivalism: Charles Grandison Finney to Billy Graham (New York: The Ronald Press Company, 1959), 394. James Cogdill, A Major Stream of American Mass Evangelism: The Ministries of R. A. Torrey, J. W. Chapman and W. E. Biederwolf (Ann Arbor, MI: UMI, 1990), 253. Great Article about one of the Heroes of the faith! I have a small invitational card asking people to hear him preach in some town in Ohio.